We love our Italian here at the Pond. I make a pretty great lasagna, if I do say so myself. I'm not so great at cooking the vegetables, though. 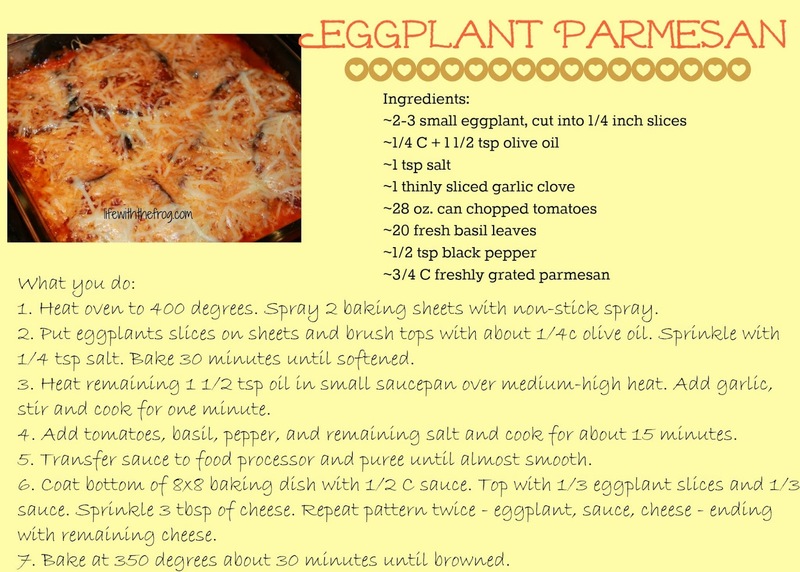 So in my attempt to avoid yet another "boil-some-noodles-and-call-it-good" night, I dug up this recipe for Eggplant Parmesan from Prevention magazine. 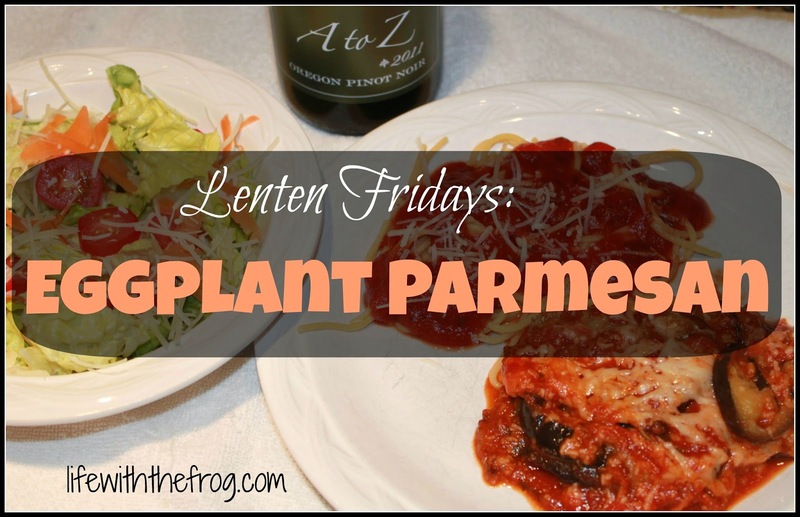 Besides being low in calories, eggplant contains fiber, iron, and calcium, and has been known to lower "bad" cholesterol. This dish - since it contains no breading - is also gluten-free. Hubby gave it a definite thumbs-up, so this one (along with last week's Potato-Egg Bake) is a keeper. You can serve alone with a nice salad made of butter lettuce and cherry tomatoes, or you can serve alongside hot cooked pasta (G-free, of course! Try Barilla's new gluten-free pasta.). Just make sure you double the sauce to use over your noodles. In case you don't know about her (and I can't believe you wouldn't) check out Amy from Funny is Family. She has a whole Crock Pot Thursdays series, and her recipes are super yummy! She has an awesome potato soup recipe (just leave off the bacon for Fridays).